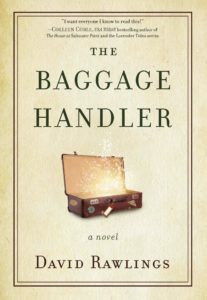 The Baggage Handler by David Rawlings is a cautionary Christian tale that will have you examining your own life. It was an incredibly powerful read that if you put the lessons into practice will aid your walk with God. We all carry baggage. We pick it up as we journey through life. “Life isn’t about what you’ve got. It’s about what you do with what you’ve got.” If we do not deal with our baggage, the weight of it will crush us. We all have choices to make. We can choose to be burdened by our baggage or we can deal with it. “People usually collect their baggage but they’d be better off if they dealt with it.” Our burden is not ours alone, we can give it to Jesus and ask Him for help. Are you caught in the comparison trap? “ ‘How am I doing?’ So you look around and measure yourself against everyone else.” We should never compare ourselves to others. The only person we should compare ourselves to is the person we used to be. Jesus is our standard. We want lives that reflect Him. We need to live our lives free from guilt and envy. Whose dream are you living? “Pushy parents are pushing their kids into a dream that’s actually theirs.” You cannot live the dream of another. Grab your dream and live it. Are we working ourselves to death? “Those voices that complained he was never around were the same ones asking for better furniture, better clothes, better toys.” Are we so busy earning a living that we are not living a life? Who is suffering in our absence? Where does your treasure lie? If we place our treasure in any one thing, we are misplacing it. Treasure is to be found in God and in people never in things. Do you know the name of the Baggage Handler? Your eternal destination depends on your answer. Wow, wow, wow! – The Baggage Handler – such a powerful read. My heart broke for all those carrying baggage. I recognised myself in some of the scenarios. I rejoiced as the scales came off and the burden eased. I mourned for those who preferred to stay weighed down with baggage. My prayer for you is that you will know the Baggage Handler. Thank you David Rawlings for the most amazingly powerful and thought provoking tale.